This is me holding a huge bear I found at the Marshals inside Sawgrass Mall. Don’t I look asian in this picture? For me thats one of the biggest compliments ever because I think asian features are beautiful. Anyway, Albert, Cade, and I, went to Sawgrass Mall that is right across the Bank Atlantic Center to wait to the concert to start. I had never been to Sawgrass before so I was really excited to go there. here we are in Neiman Marcus. In person and in photos I’m surprised that a higher end store like Neiman Marcus is so UGLY. 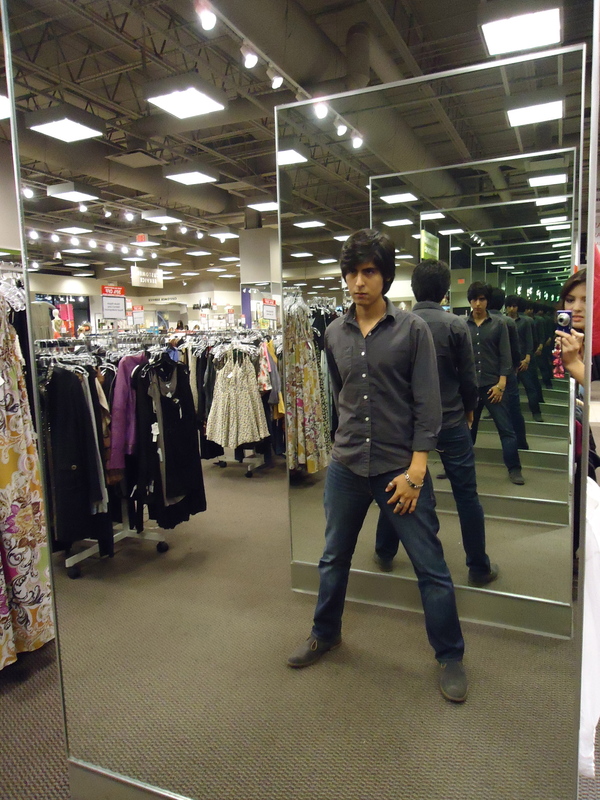 Anyways, we found out how cool the effect was of two mirrors facing each other. There’s millions of Alberts! Can you spot me taking the photo? Standing next to me is my brother Cade. Can you tell who he came to the concert to see? LMFAO was amazing but we were both disappointed because Sky blue wasn’t there (he hurt his back shuffling) and also because they didn’t perform the song Champagne Showers. 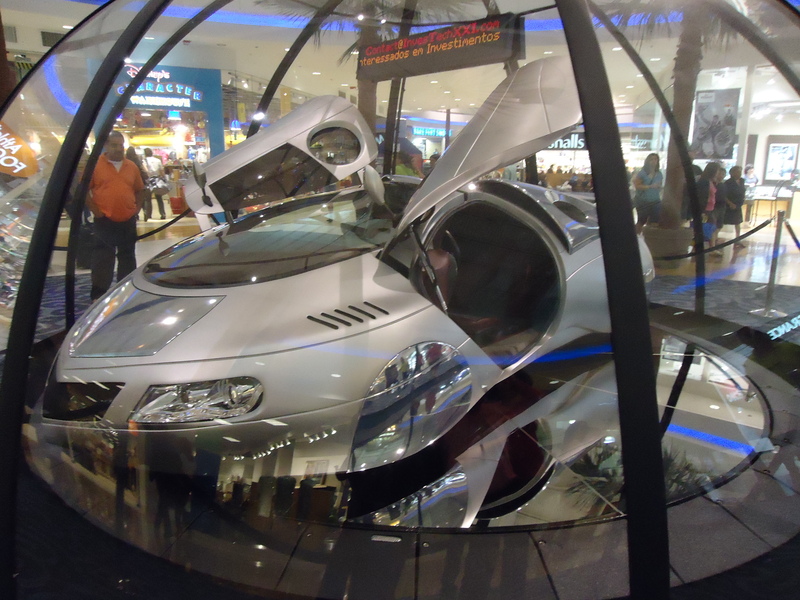 This car was displayed inside Sawgrass. Both Albert and Cade were, in my opinion, overly impressed by it. Albert is really into cars because he used to work for his uncle’s dealership, so his opinion is law when it comes to cars. He says the new cars in 2012 will look like this one. I nodded my head and said “Wow that’s awesome!” but I really don’t believe it. Even though I didn’t get to see all the stores I was really happy I was able to buy this Hello Kitty purse. I had wanted it ever since I saw it in Epcot’s Japan. It is my first “expensive” purse. It costs $65. Sanrio is not a cheap brand. My mom bought it for me as an early Christmas present. When I start working as an esthetician I’m going to save up to I want to buy a white Micheal Kors purse. I just love white purses I think they look better than black or brown. 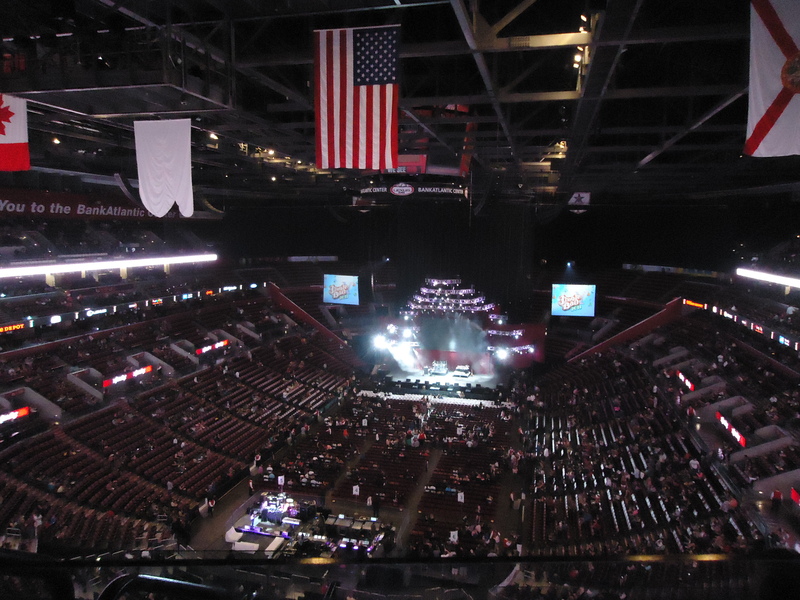 Then, we had to rush over to the Bank Atlantic Center. My mom dropped us off so we got inside quickly compared to the people who had to wait in long lines to park. 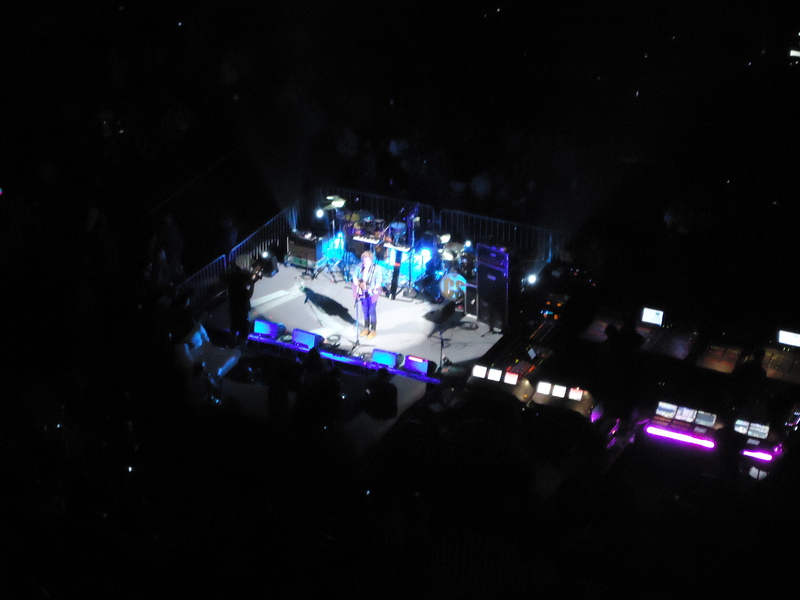 As you can tell we were really far away from the stage. We were in the 400 section. I was about to get tickets that were closer to the stage but I had waited to call my bf to see if he wanted to come then the next available seats were these. This is the best picture I took. This is Cody Simpson, The reason the picture is better than the others I took is because he performed in the mini-stage that was closer to us. Note to self: The next concert I want to go to I’m buying the tickets sooner and I’m definitely getting seats closer to the stage. When I took pictures of the artists I wasn’t able to tell who they were because we were so far away. I was like we weren’t there, because I couldn’t take any pictures. 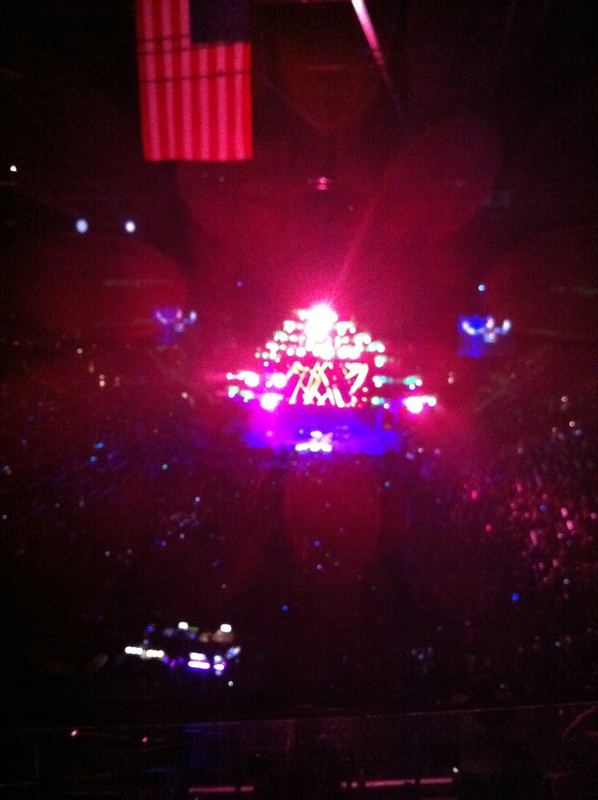 I just have to end this post saying Kelly Clarkson is really impressive live. She is WORTH seeing on stage. She is a singing Goddess and we should all worship her.